A first appearance on Live and Loud! for Talking Heads. This is an exciting show taken from a Dutch FM radio broadcast featuring mainly tracks from their first album but also their first single, a track 1 from their 2nd album and 1 track - Let's Work (later known as A Clean Break) - which only ever appeared on a live album. Not quite a full set but then few FM recordings are. 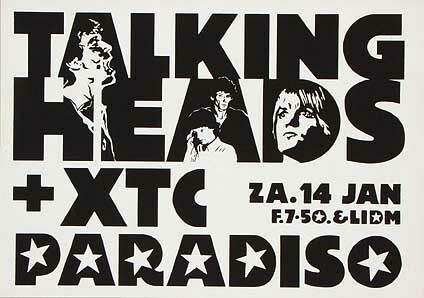 Supporting Talking Heads that night was British band XTC as you can see from the flyer below. The recording was in good condition and responded well 30 band EQ to bring clarity to the instruments and reinforce the bottom end a bit, and a bit of final mastering to finish off. 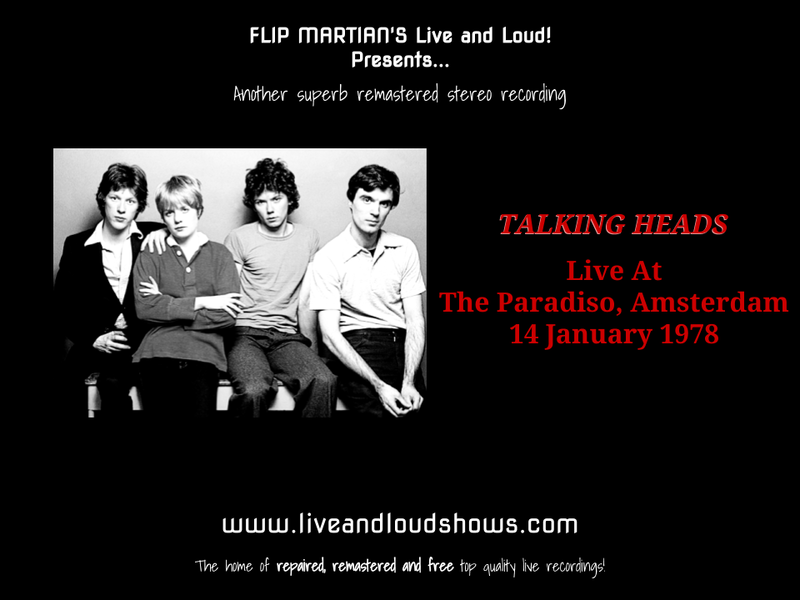 What you have now is a great stereo recording of Talking Heads in between their 1st and 2nd albums.